Local London Assembly Member Joanne McCartney called TfL to a site meeting to discuss the A406 works and to hear direct from residents living every day with the ongoing disruption. 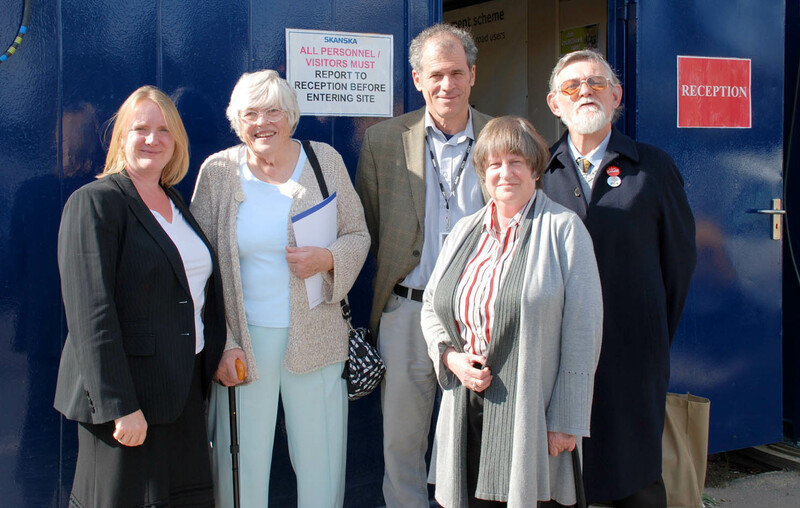 On Monday Joanne McCartney met Transport for Londonmanagement at the Bowes Roadsite office along with local councillors Alan Sitkin and Yasmin Brett and a group of local residents. Concerns were raised about the one-way system, particularly from residents ofGrenobleGardenswho vented their frustration that heavy traffic is blighting their residential street.